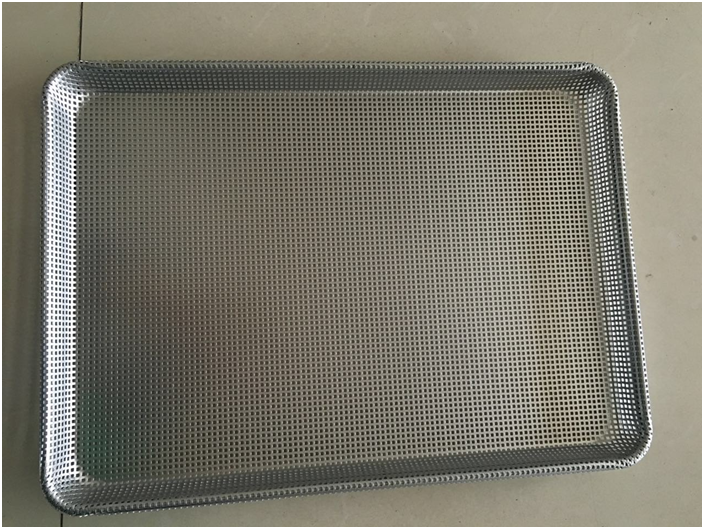 Product categories of Baking Pan, we are specialized manufacturers from China, Baking Pan, Cast Iron Baking Pan suppliers/factory, wholesale high-quality products of Aluminum Baking Pan R & D and manufacturing, we have the perfect after-sales service and technical support. Look forward to your cooperation! Aluminum Baking Pan is made of heavy weight food grade aluminum with wire-reinforced beaded rim & Tapered shape. Aluminum baking tray is great for daily home use or commercial use for bakeries, cafeterias and coffee shops. Aluminum sheet pans have various sizes such as half size, full size and other custom sizes. It can be coated with PTFE and make the surface to be non stick baking tool. Solid and perforated type can be available.